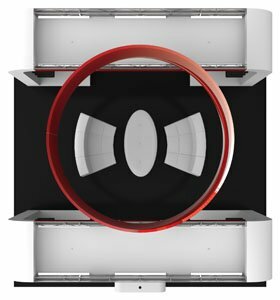 With the Elite 12, your company will dominate the tradeshow floor. 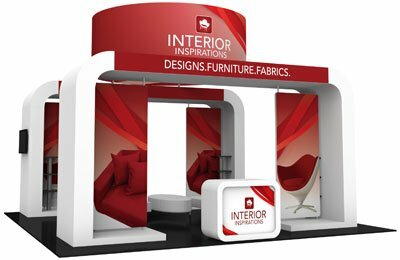 This buttress-styled rental exhibit features curved corner heavy-duty white laminated wood structures, fabric graphic walls, accents and open center area perfect for meetings and seating. 6 Standard carpet, 16 oz.